According to an interview with John L. Ochsner, MD (March 10, 2015), in early 1955, Dr Alton Ochsner and his wife Isabel were visiting him in Tokyo, Japan, where the younger Dr Ochsner was temporarily residing, having been assigned there as a surgical consultant by the US Air Force. During this family reunion, Isabel needed some tissues and asked her son to retrieve them from her purse because he was sitting closer to it than she was. Her son did that, but in the process he noticed that the purse was new, very fancy, and had an unusual gift tag attached to it. The tag read something like “Executive Power of the Argentine Nation: To Mrs Alton Ochsner From General Juan Perón, President of Argentina.” John was stunned at this finding, expressed his surprise aloud, and inquired about it. After a moment of hesitation, Dr Alton Ochsner said, “Well, I guess I'll have to tell you now,” and revealed a secret he had been keeping. He had recently traveled to Argentina in an undercover capacity to treat the country's number one citizen: its president. The visit had been arranged by special contacts from the Argentine government. Years later, in his memoirs, Dr Alton Ochsner wrote publicly about his previously unrevealed journey to South America that had been carried out in complete secrecy. Remarkably, a notable American surgeon had been asked by a foreign government to travel out of his country to conduct a surreptitious medical evaluation of an immensely popular foreign president in his own land. The initiative, at the time, remained classified by the government of Argentina so that the health vulnerabilities of the president would not be revealed to the Argentine public. Today, we report this covert medical mission as remembered by Dr John Ochsner and reported by Dr Alton Ochsner in his memoirs. Alton Ochsner (Figures 1 and 2) was born on May 4, 1896, in the small town of Kimball, SD, where his parents had emigrated from Wisconsin as part of the expansion to the West, a movement in which many in the bolder generation of post–Civil War America were involved.1,2 The Wisconsin railroad was extending westward through South Dakota, and Alton Ochsner's parents moved in that direction. His father became the sheriff of the local county. Alton was the only son, the youngest child after 6 sisters. After completing his local high school education, he went to college in Vermillion, SD, very near the state border with Iowa and even nearer the border of Nebraska. Dr Alton Ochsner and his wife Isabel. Alton Ochsner completed medical school at Washington University in St. Louis, MO, and he initiated his practice in a Chicago hospital where he was mentored by another Ochsner great, Albert John Ochsner, a cousin of Alton's father and prominent Chicago surgeon who took Alton under his wing.3 The career of Alton Ochsner spiraled upward from there, and he became one of the best trained surgeons in the United States. Ochsner's destiny brought him to the warm climate of New Orleans, LA, in the summer of 1927 when he accepted the position of Chairman of Surgery at Tulane University School of Medicine.1 Alton Ochsner was only 31 years of age and grew a moustache in an attempt to look older than his age. One of his many life accomplishments was founding the Ochsner Clinic along with 4 other physicians. The Ochsner Clinic is perhaps Alton Ochsner's greatest legacy.1 Ochsner and his four physician partners, Guy Alvin Caldwell, Edgar Burns, Francis E. LeJeune, and Curtis Tyrone, created a new system of delivering healthcare in the Gulf South and in doing so shook the establishment. The clinic opened its doors on January 2, 1942, and has developed into one of the most outstanding group practices in the world. 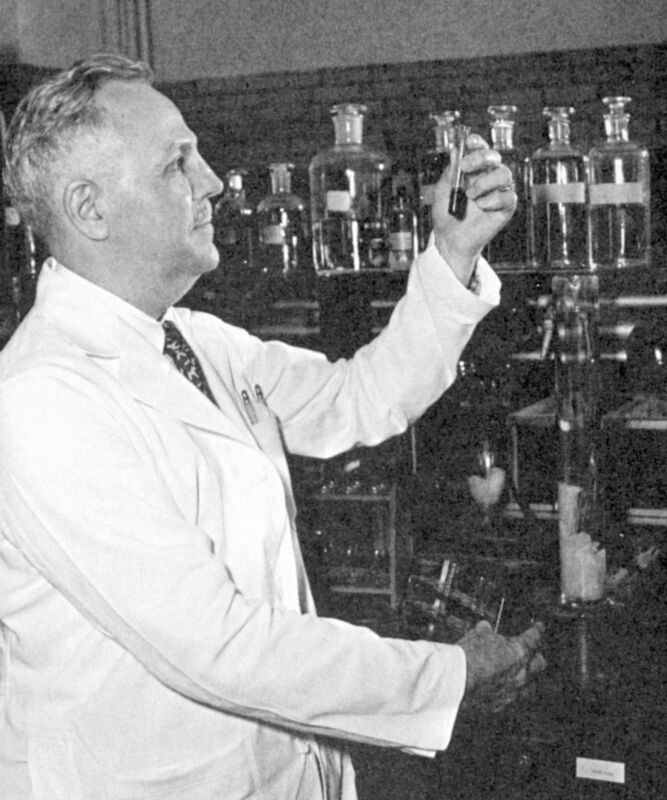 Dr Ochsner rose to national recognition and over time became an international figure. He was the recipient of every award the surgical profession has to offer. Dr Ochsner is especially remembered for exposing the hazards of tobacco and its link to lung cancer. In 1967, Alton Ochsner had to retire from performing surgery because of the clinic rules regarding age. However, he continued to see patients for another 14 years until his death on September 6, 1981, after a brilliant clinical, surgical, research, and teaching career. He practiced and taught the science and the art of medicine, a true Hippocratic disciple. He was optimistic with patients, had great bedside manner, and loved to help people. Juan Domingo Perón (Figure 3) was born October 8, 1895, in Lobos, province of Buenos Aires, Argentina.4,5 He studied as a youth at the National Military Academy—where he excelled in athletics, boxing, and fencing—and graduated in 1913. Perón earned instructor credentials at the Advanced School of War in Buenos Aires and in 1929 was assigned to the army general staff headquarters. He was promoted to the rank of major in 1931. He taught military history at the Advanced School of War and published a number of treatises on the subject. Perón served as military attaché in the Argentine Embassy in Chile from 1936-1938. In 1939, he was assigned by the War Ministry to study mountain warfare in the Italian Alps and attended the University of Turin. He served as a military observer in countries across Europe, studying fascism in Italy and Nazi Germany. 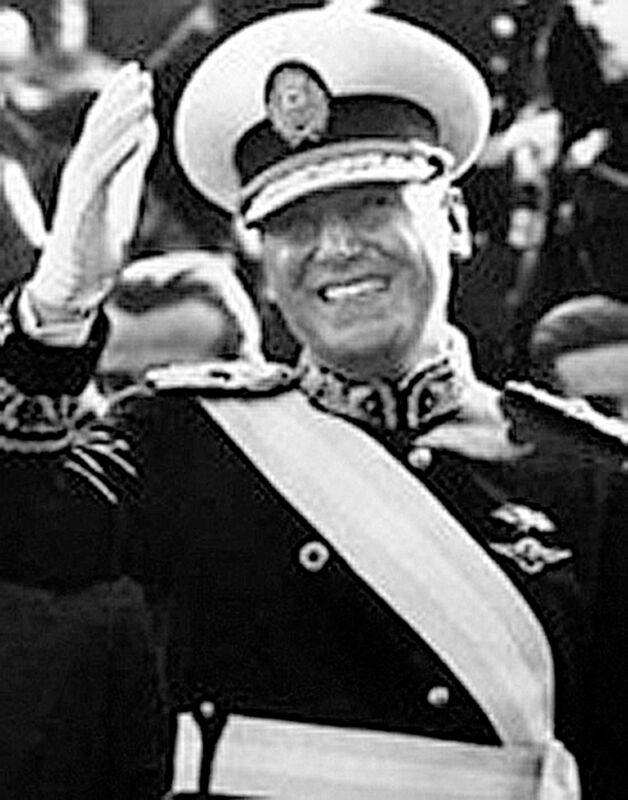 General Juan Domingo Perón at his inaugural parade. Reproduced from Presidencia de la Nación Argentina (http://www.casarosada.gob.ar/galeria-de-presidentes/440-juan-domingo-peron-ii-1952-1955?template=blank). In early October 1945, Perón was ousted from his position by a coup of rival army and navy officers. However, associates in the labor unions rallied the workers of greater Buenos Aires in Perón's favor, and he was released from custody on October 17, 1945. That evening, from the balcony of the presidential palace, he addressed 300,000 people, and his speech was broadcast to the country on radio. He promised to lead the people to victory in the pending presidential election and to build with them a strong and just nation. A few days later, he married actress Eva Duarte, or Evita as she became popularly called, who would help him rule Argentina in the years ahead (Figure 4). 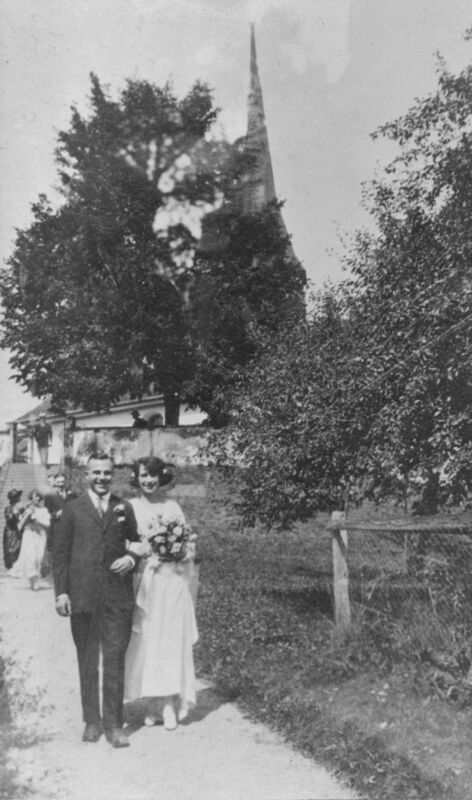 General Juan Domingo Perón and his wife Eva address a crowd from the Rose Palace. Reproduced from Presidencia de la Nación Argentina (http://www.casarosada.gob.ar/nuestro-pais/historia). After a campaign marked by repression of the liberal opposition by the federal police and by strong-arm squads, Perón was elected president in February 1946 with 56% of the popular vote. Perón set Argentina on a course of industrialization and state intervention in the economy designed to provide economic and social benefits for the working class. He also adopted a strong anti-United States and anti-British position, preaching the virtues of his so-called justicialismo (social justice) and tercerposicionismo (third position), an authoritarian and populist system between communism and capitalism. Perón effectively reshaped the political and social landscape of Argentina, bringing wage increases and fringe benefits to industrial workers. He nationalized the railroads and other utilities and financed public works on a large scale. The funds for those costly innovations came from the increment in revenue derived from active export programs that Argentina had during World War II and from the profits of the state agency that set the prices for agricultural products. Perón dictated the political life of the country through his command of the armed forces. He severely restricted and in some areas eliminated constitutional liberties, and in 1949 he arranged a convention to write a new constitution that would permit his reelection. Reelected leader of the Justicialist Party in 1951, Perón modified some of his policies. However, he was overthrown and fled to Paraguay on September 19, 1955, after an army-navy revolt led by democratically inspired officers who acted on the basis of growing popular discontent with inflation, corruption, demagoguery, and oppression. Perón was exiled in Madrid, Spain, for many years. In the elections of March 1973, Peronist candidates captured the presidency and majorities in the legislature, and in June, Perón was welcomed back to Argentina with wild excitement. In October, in a special election, he was elected president but died 9 months later on July 1, 1974. 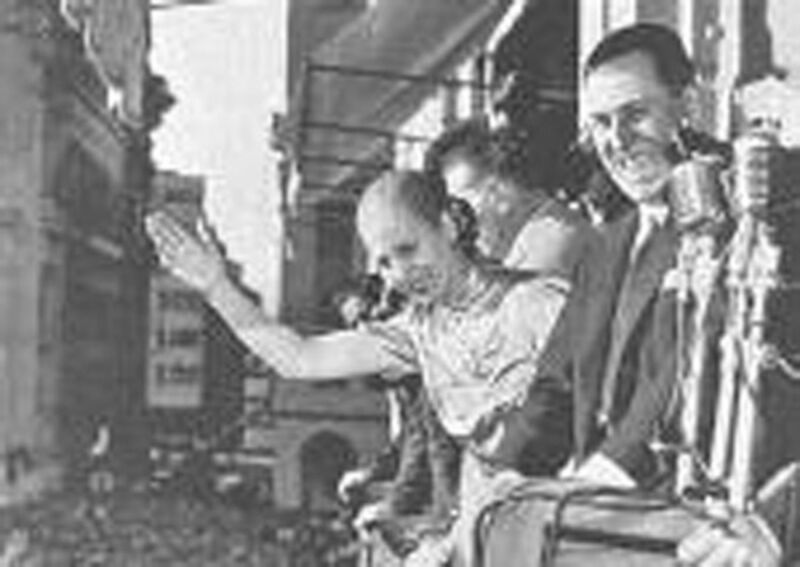 The charismatic attraction that Juan Perón and his long-deceased wife Evita had for the public in Argentina was legendary. In January 1955, Dr Ochsner received a visit from an Argentine politician, Eduardo Weiss, who had been his longtime patient. Many years before, Weiss had been an air attaché in the Argentine Embassy in Washington, DC, and had come to New Orleans for treatment by Dr Ochsner for peripheral vascular insufficiency, after which Weiss had done very well and continued to visit Dr Ochsner periodically. In early 1955, Dr Ochsner was surprised to find Eduardo Weiss in the waiting room of his office because he had seen him recently and all was well. Then Dr Ochsner learned that Weiss was there on a different mission. He requested to speak to Dr Ochsner privately and not in the presence of any nurse. Weiss explained that he was there to talk about someone else, an important person, somebody in Argentina, and showed Dr Ochsner clinic notes he had brought about this person. Ochsner read the notes. They described a 59-year-old male who had been perfectly well until 2 weeks before when he developed severe pain in his left leg while playing tennis. Doctors had found the leg to be cool and to have no pulsations below the femoral artery. Weiss asked if something could be done for a case like this. Dr Ochsner said he thought the patient could be helped. Weiss swore Dr Ochsner to secrecy and revealed that the patient was General Juan Domingo Perón, the President of Argentina, and asked Dr Ochsner to fly with him to Argentina to treat Perón. The trip was made in secrecy. This trip was the only time Dr Ochsner left the clinic without telling his associates where he was going. Weiss and Dr Ochsner flew to Miami and boarded a flight to Buenos Aires. After landing, the aircraft stopped at the end of the runway, a staff car approached, and Weiss and Dr Ochsner deplaned. Dr Ochsner was housed in the Alvear Palace Hotel. Dr Ochsner saw Perón the following day in the presidential summer palace, probably the one located in San Vicente, province of Buenos Aires. He found that the president had an obstructive vascular lesion in his left lower extremity. Dr Ochsner told him he should have an arteriogram, and later, depending on the results, an endarterectomy, a bypass operation, or a sympathectomy. Perón asked if these procedures could be done in Argentina. Dr Ochsner told him that the arteriogram and sympathectomy could be done in Argentina, but he wasn't willing to do the others because a patient would benefit from having those procedures done “where the surgeon has his team.” Perón agreed to go to New Orleans after the Argentine congress met 6 weeks later. On January 25, 1955, in the presidential palace, Dr Ochsner performed a procaine sympathetic ganglion block to provide temporary relief. Perón was a heavy smoker, and Dr Ochsner admonished him to stop the habit. When I met the General, I found him to be a very personable individual and very interested in sport cars. He had just gotten a new Mercedes convertible… this was the first fuel injection Mercedes that they had made… When talking about his medical problem, Perón said that no one must know that he was sick because his wife Eva had died shortly before of cancer, and everyone who knew he was sick would think that he had cancer, too. He invited me to come to the Rose Palace, which was his palace in the city, the next night for dinner, which I did… He was a most charming host. As we were sitting having coffee afterward, he was telling me about what a fine woman Eva had been and all that she had done for Argentina. He also remarked that he liked surgeons in government. When I asked him why, he said, “generals are no good, they order too much; lawyers are no good, they argue too much; engineers can't make a decision without consulting a slide rule, but I like surgeons because they are men of action.” After we talked for a while, he said that they were having a golden gloves tournament in Buenos Aires that night, and since he was very much interested in sports, he would like to go and invited me to go with him. He called for his car and the two of us got into his seven-passenger Cadillac with a chauffeur and a footman. The tournament was at the Luna Park, which is similar to our Madison Square Garden… About six or seven blocks from the stadium he instructed the driver to turn on the dome lights… and I could see on both sides of the street people lined up about six and eight deep… the people knew that he was coming and they cheered him as he went by… As he walked into the stadium there was the loudest applause I have ever heard, and it lasted 15 minutes… After the evening was over… he took me back to my hotel. The following morning, I had to leave, but, before I left, I found a gorgeous alligator purse which he had sent to me as a gift to Isabel. Dr Ochsner returned to New Orleans with the gift for his wife. The fancy alligator purse, still with a gift tag attached, was how Dr John Ochsner found out about his father's secret trip to Argentina. As it turned out, Perón never made it to New Orleans because 9 months following the confidential meeting with Dr Ochsner, a military coup deposed the president. Perón was forced to flee to Paraguay, where another totalitarian leader, President Alfredo Stroessner, gave him temporary asylum. Perón then left South America and settled in the outskirts of Madrid, Spain. From there Perón, far from finished, continued to exercise control over the business of the party he had created and continued to influence Argentine political thinking. Years later, while on a trip in Madrid, Spain, Dr Ochsner visited Perón in his residence and asked the former president about the outcome of his vascular ailment. Perón answered that he had, indeed, quit the cigarette habit, and his condition had markedly improved. In fact, he never had the operation Ochsner recommended during his clandestine trip. We, the authors of this article, wanted to relate this anecdote in the life of Dr Ochsner because of our unique position. Both of us knew Dr Alton Ochsner personally from our initial experience in the Ochsner institutions, and both of us knew Juan Perón from his numerous television appearances during his last tenure in office as President of Argentina. The trip described here had a medical purpose, and the secrecy of it made it all the more attractive to our curiosity. The original idea of writing about it came from Dr John Ochsner, who once talking with us informally in the halls of the Ochsner Clinic, mentioned how he had by chance found out about his father's “occult” trip to our homeland. Alton Ochsner Surgeon of the South. Baton Rouge, LA: Louisiana State University Press; 1990: 8- 145. Juan Domingo. Buenos Aires, Argentina: Editorial Sudamericana Buenos Aires; 2009: 15- 303. Perón: A Biography. New York, NY: Random House; 1983. How Much Anesthesia Research Has Academia in the United States Contributed in the Past 50 Years?